1529 Dolores St San Francisco, CA. | MLS# 459507 | Andrew de Vries, Probate Real Estate, San Francisco Probate Real Estate, Oakland Probate Real Estate, Berkeley Probate Real Estate, Alameda Probate Real Estate, Lafayette, Contra Costa Probate Real Estate, Probate realtor, Probate agent, Probate Broker. This rarely available 4BD/2BA Dolores Street/Noe Valley Edwardian is ready for a new owner's reinvention. The home boasts a large formal living room, formal dining room w/fireplace, large kitchen, full BA & laundry room all on the main floor, AND 4BDs/1BA up the grand staircase. Downstairs is a big 2-car tandem garage w/bonus rooms & storage. Zoned RH-2 per Tax records. 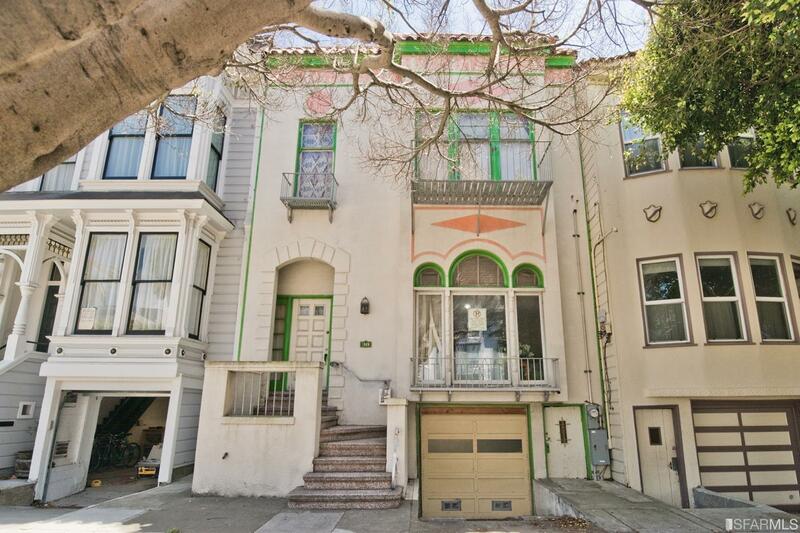 94 Walk Score, Walker's Paradise, Perfect location for Noe Valley/Bernal lovers! Home is being sold with current occupant in place and subject to occupant's rights.